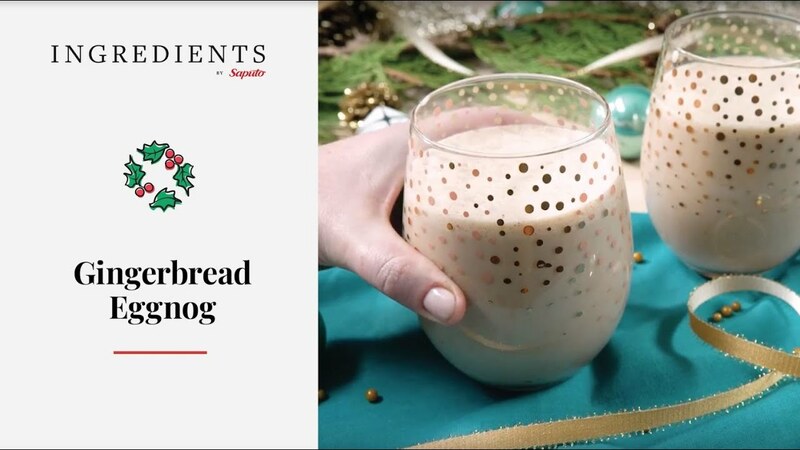 Welcome guests this holiday season with a homemade eggnog for adults, enhanced with the warm spices of gingerbread, French vanilla and subtle notes of brown sugar. 1. In saucepan set over medium heat, combine milk, International Delight coffee whitener French Vanilla flavour and International Delight coffee whitener Irish Crème flavour. Stir in cinnamon, ginger, nutmeg, allspice, cloves and pepper until mixture is steaming but not boiling; cover and remove from heat. Let stand for 10 minutes. 2. Meanwhile, using electric mixer on medium-high speed, beat egg yolks with sugar for 5 to 7 minutes or until pale yellow and thickened. Slowly beat in milk mixture until smooth and well combined; stir in rum. 3. In large heatproof bowl set over saucepan of barely simmering water, whisk egg whites for 5 to 8 minutes or until soft peaks form. Fold gently into milk mixture. Cover and refrigerate for at least 6 hours or up to 3 days. 4. Garnish with sprinkle of grated nutmeg and cinnamon sticks. - For best results, whisk room-temperature egg whites to soft peaks in clean and dry nonreactive bowl, such as a stainless steel one. - Use any leftover eggnog to make French toast or pancakes for an extra-special holiday breakfast.